You are at:Home»Featured»Merger Arbitrage: An Antidote to Rising Rates? 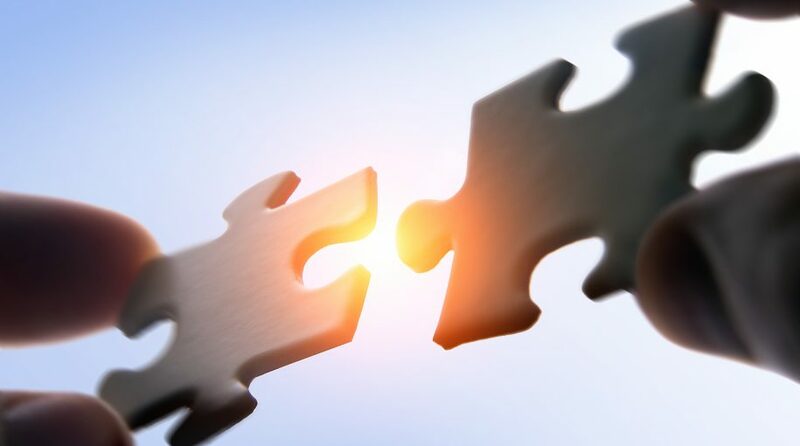 Empirical research confirms that merger and acquisition strategies (M&A), as represented by M&A index returns, are positively related to the interest rate and the change in interest rate. This positive relationship between M&A index returns and interest rates is driven less by the economic cycle, but by the unique nature of M&A deal risk. Furthermore, given M&A’s low correlation to the equity and fixed income markets, it could serve as a diversified source of return and help investors manage volatility in a rising rate market. After a decade of record lows, interest rates have finally begun to return to normal. A healthy economy, reduced unemployment, and growing concerns about inflation have created an environment in which short-term interest rates are on the rise. The Federal Reserve (“Fed”), which began raising the fed funds rate in 2015, is widely expected to continue hiking over the near term, potentially bringing the official policy rate to 3.0% or higher in 2019. In fact, this hawkish stance could remain in place for quite some time. Fed Chairman Jerome Powell is believed to be more committed to tightening monetary policy than his two predecessors, and he appears less likely to respond to market turmoil by cutting rates or delaying increases. Other members of the Fed have recently begun to sound more hawkish as well. The upshot, therefore, is that interest rates are likely to keep rising over the foreseeable future. Of course, as interest rates have climbed, fixed-income returns have generally fallen. With rates widely expected to remain on the uptrend, how should investors respond? Is there anything they can do to mitigate the fixed-income losses that are likely to occur in this environment? One possible strategy is merger arbitrage. This alternative investment seeks to profit from the price increase that often occurs in the stock of a company being acquired. When an acquisition is announced, that stock typically rallies but usually remains below the takeover bid. This “discount” represents “deal risk,” the possibility that the transaction will fail due to financing difficulties, regulatory issues, problems obtaining shareholder approval, or other factors. As the deal moves closer to consummation, this spread typically narrows as the risk dissipates. provide added diversification of risk. investment cannot be made directly into an index. This example is for illustrative purposes only and does not represent an actual investment. The solutions presented are not appropriate for all investors. How have merger arbitrage strategies performed historically? 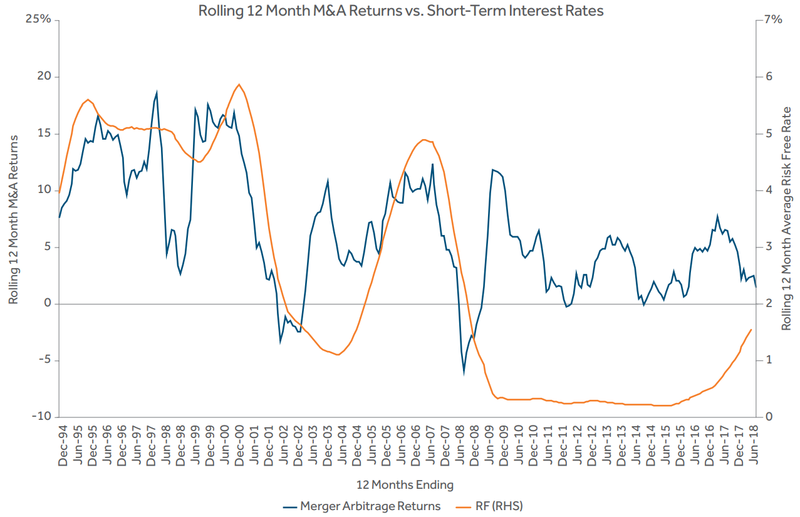 Chart 1 shows that merger arbitrage index returns have been better when interest rates have been higher. For example, when the “risk-free” interest rate was 3.5-4.0%, the average 12-month index return on merger arb strategies was 6.84%. This is in line with the index returns these strategies have typically sought, that is, 3-6% over the risk-free rate. Source: FactSet, Bloomberg. Analysis period runs from 12/31/1994 to 10/31/2018. Merger arb returns are represented by an average of the returns to the HFRI ED Merger Arbitrage Index and the Credit Suisse Event-Driven, Risk Arbitrage Index. The risk-free rate is represented by the U.S. Treasury 91-Day Bill Yield. Chart 2 illustrates how merger arb index returns have, until recently, tracked closely with the risk-free rate. Two features are immediately evident: 1) Prior to late 2008, the correlation between a rising, risk-free rate and merger arbitrage index returns was very tight, and 2) after 2008, that correlation weakened. Notice that in late 2000, for example, index returns began to decline and continued to do so as short-term interest rates plummeted over the next two years. It’s also noteworthy that the link between the risk-free rate and the merger arb index returns was broken beginning in 2008. No doubt, the extraordinarily low interest rates maintained by the Fed over the past 10 years have been a key driver behind lower merger arb index returns, suggesting that with rates trending toward more normal levels, index returns will trend higher as well. economic conditions at the start of the year, represented by the Conference Board’s Coincident Index of Economic Indicators, which tracks non-farm payrolls, personal income, industrial production, and sales by the manufacturing, wholesale, and retail sectors. We found that both high rates and rising rates helped to account for a significant portion of the variability of index returns over this period. Broader macroeconomic conditions, on the other hand, did not. 2.10 percentage points in merger arb index returns (see Table 2). Similarly, a one-percentage point increase in the rate of change in the risk-free rate was associated with an improvement of 1.78 percentage points. On the other hand, general economic conditions had little effect on index returns. Although the effect of this factor was statistically significant, it was so small as to be meaningless. Regression of Merger Arbitrage Strategies Against the Risk-free Interest Rate, the Change in the Risk-free Interest Rate, and Economic Conditions. Source: Bloomberg, Conference Board. Regression analysis on monthly time series conducted from December 1994 through August 2018. Economic conditions represented by the Conference Board Coincident Indicators Index. Merger arb returns are represented by an average of the returns to the HFRI ED Merger Arbitrage Index and the Credit Suisse Event-Driven, Risk Arbitrage Index. RFR represents the Risk-free Interest Rate. Past performance is no guarantee of future results. An investment cannot be made directly into an index. This example is for illustrative purposes only and does not represent an actual investment. The solutions presented are not appropriate for all investors. This finding, that merger arb performance tracks with short-term interest rates and changes in those rates, may seem counterintuitive. Low rates, in fact, are often cited as more conducive to merger and acquisition activity. 1. 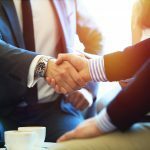 Deal premium — With mergers and acquisitions, there is always a risk that a deal will fall through. The expected return on merger arbitrage incorporates a premium above the risk-free rate that reflects this risk. Therefore, adding this premium to the risk-free rate when that rate is rising, results in a higher expected return. 2. Opportunity cost — Merger arb strategies must offer attractive returns or investors will opt for other investments with comparable returns but less risk. With interest rates at high levels, investments offering attractive returns with lower risk may be more plentiful. If merger arb returns fail to sufficiently compensate for deal risk, investors will pull their money from arb funds and opt for these other investments. downside risk. Whether the short is at the market or sector level or is a short on the stock of the acquirer, the lender will require that cash be put aside as collateral on the short. As rates rise, the cash return on the collateral will also rise, providing a positive return potential when interest rates rise. The bottom line for investors? Given the economic environment and the Fed’s new hawkishness, short-term rates are likely to keep rising over the near term. And if history is any guide, higher rates could result in attractive return potential for merger arbitrage strategies, making this alternative investment a timely complement to a fixed-income portfolio. Moreover, because this strategy is uncorrelated with traditional asset classes, it may also provide additional diversification benefits. Alpha, a measure of performance, is the excess return of an investment relative to the return of a benchmark index. T-stat, is a measure of how extreme a statistical estimate is. It is calculated by subtracting the hypothesized value from the statistical estimate and then dividing by the estimated standard error. In many, but not all situations, the hypothesized value would be zero. The Bloomberg Barclays U.S. Aggregate Bond Index is a broad-based index that measures the investment-grade, U.S. dollar-denominated, fixed-rate, taxable bond market, including Treasuries, government-related and corporate securities, mortgage-backed securities (agency fixed-rate and hybrid, adjustable-rate, mortgage pass-throughs), asset-backed securities, and commercial mortgage-backed securities, with maturities of at least one year. The Credit Suisse Event-Driven Risk Arbitrage Index is a subset of the Credit Suisse Hedge Fund Index that measures the aggregate performance of risk arbitrage funds. Risk arbitrage, event-driven hedge funds typically attempt to capture the spreads in merger or acquisition transactions involving public companies after the terms of the transaction have been announced. The HFRI ED: Merger Arbitrage Index focuses on opportunities in equity and equity related instruments of companies which are currently engaged in a corporate transaction. 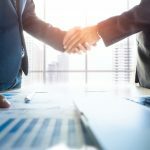 Merger arbitrage involves primarily announced transactions, typically with limited or no exposure to situations in which no formal announcement is expected to occur, either pre- or post-date. The S&P 500 Index is an American stock market index, based on the market capitalization of 500 large companies having common stock listed on the NYSE or NASDAQ. Merger arbitrage risk is the principal risk associated with the Fund’s investments, in that certain of the proposed takeover transactions in which the Fund invests may be renegotiated, terminated, or involve a longer time frame than originally contemplated, for business reasons or due to regulatory oversight or for other reasons, which, in each case, may negatively impact the Fund’s returns. Short positions, including short exposure to securities indexes, introduce more risk to the Fund than long positions (purchases) because the maximum sustainable loss on a security purchased (held long) is limited to the amount paid for the security plus the transaction costs, whereas there is no maximum attainable price of the shorted security. Therefore, in theory, securities sold short, have unlimited downside potential. This material represents an assessment of the market environment as of a specific date; is subject to change; and is not intended to be a forecast of future events or a guarantee of future results. This information should not be relied upon by the reader as research or investment advice regarding the funds or any issuer or security in particular. The strategies discussed are strictly for illustrative and educational purposes and are not a recommendation, offer, or solicitation to buy or sell any securities or to adopt any investment strategy. There is no guarantee that any strategies discussed will be effective. This material contains general information only and does not take into account an individual’s financial circumstances. This information should not be relied upon as a primary basis for an investment decision. Rather, an assessment should be made as to whether the information is appropriate in individual circumstances, and consideration should be given to talking to a financial advisor before making an investment decision. For more information, call 888-474-7725 or visit nylinvestments.com/etfs. Consider the Fund’s investment objectives, risks, and charges and expenses carefully before investing. The prospectus and the statement of additional information, including this and other relevant information about the Fund, are available by visiting nylinvestments.com/etfs or calling 888-474-7725. Read the prospectus carefully before investing. advisor to the IndexIQ ETFs. ALPS Distributors, Inc. (ALPS) is the principal underwriter of the ETFs. NYLIFE Distributors LLC is a distributor of the ETFs.